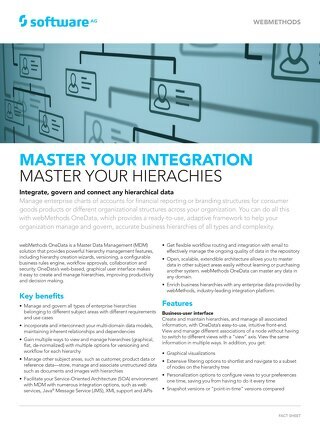 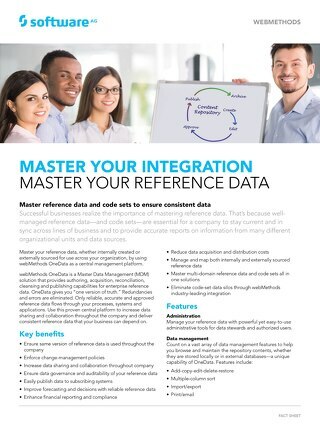 Good, consistent data reduces costs and errors and ultimately improves customer satisfaction. 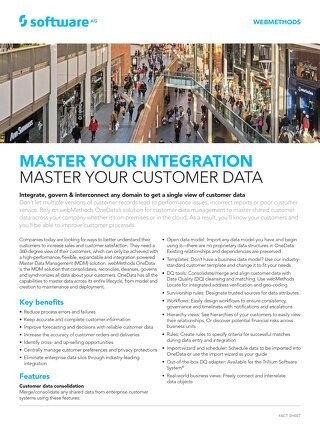 See why you need MDM to innovate in your digital transformation. 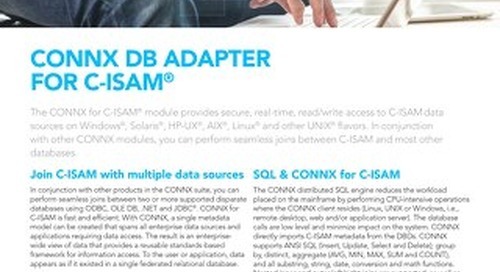 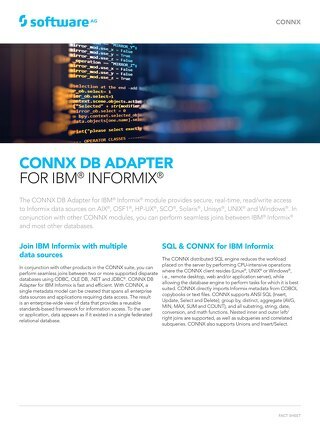 CONNX DB Adapter for IBM Informix for data integration provides secure, real-time, read/write access to Informix data sources on AIX®, OSF1®, HP-UX®, SCO®, Solaris®, Unisys®, UNIX® and Windows®. 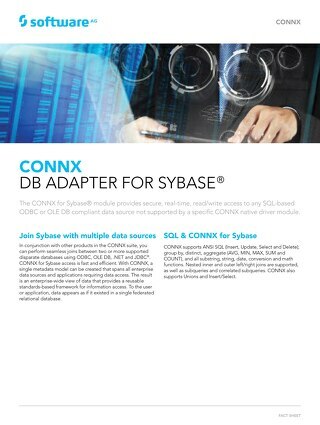 The CONNX for Sybase module for data integration provides secure, real-time, read/write access to SQL-based ODBC or OLE DB compliant data sources. 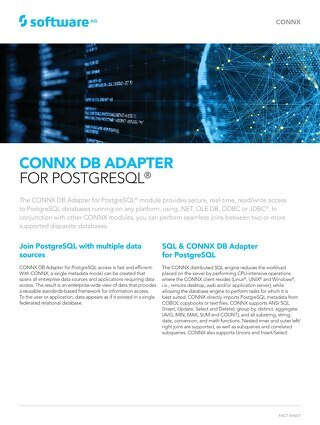 The CONNX for PostgreSQL data integration module provides secure, real-time, read/write access to PostgreSQL databases running on any platform using .NET, OLE DB, ODBC or JDBC®. 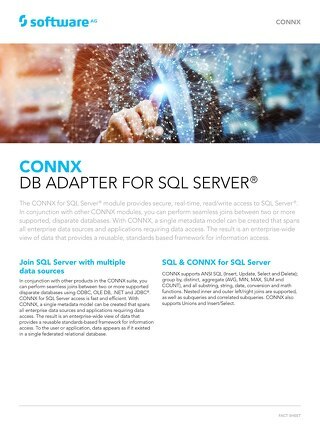 The CONNX for SQL Server data integration module provides secure, real-time, read/write access to SQL Server®. 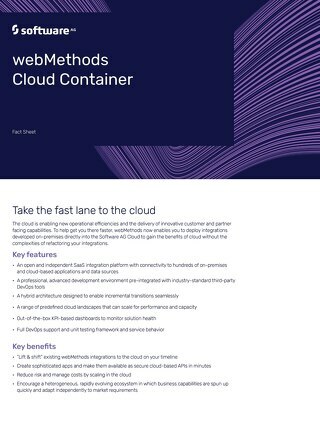 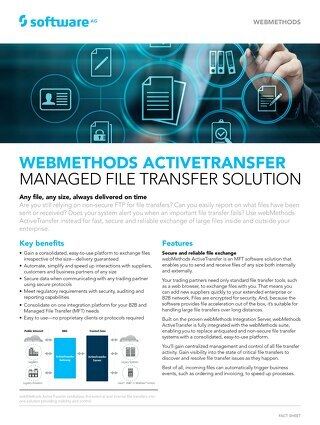 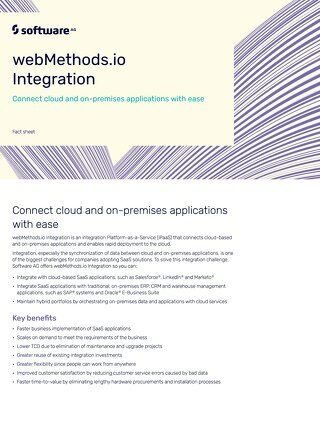 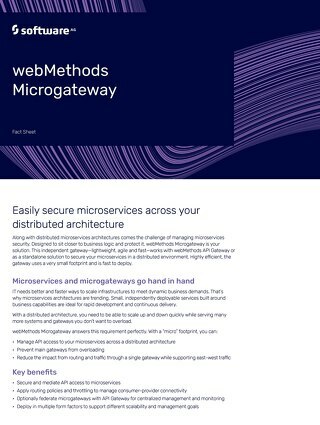 webMethods Integration Cloud is an integration Platform as a Service that connects cloud-based and on-premises applications and enables rapid deployment to the cloud. 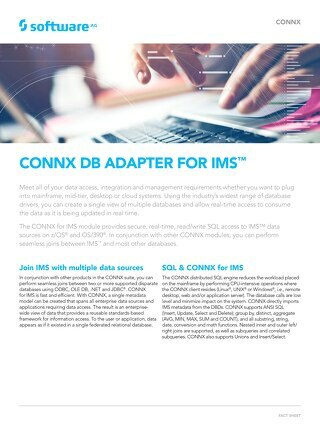 The CONNX for IMS data integration module provides secure, real-time, read/write SQL access to IMS™ data sources on z/OS® and OS/390®. 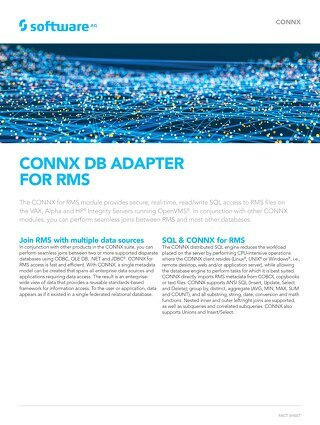 The CONNX for RMS data integration module provides secure, real-time, read/write SQL access to RMS files on the VAX, Alpha and HP® Integrity Servers running OpenVMS®. 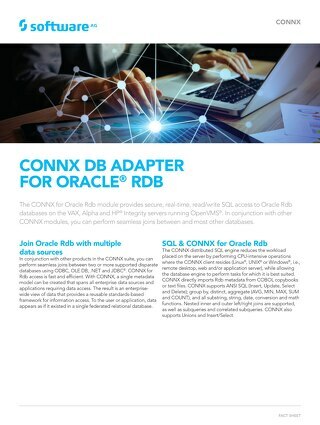 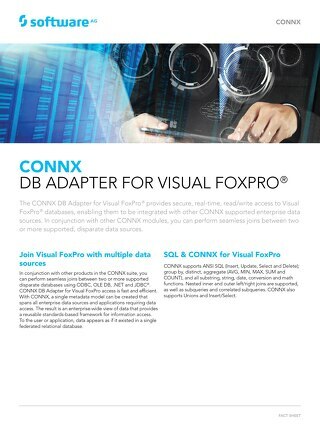 The CONNX for Oracle® RDB data integration module provides secure, real-time, read/write SQL access to Oracle Rdb databases on the VAX, Alpha and HP® Integrity servers running OpenVMS®. 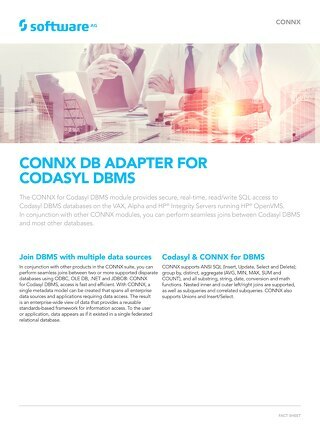 The CONNX for Codasyl DBMS data integration module provides secure, real-time, read/write SQL access to Codasyl DBMS databases on the VAX, Alpha and HP® Integrity Servers running HP® OpenVMS.